Listening is more important than only expressing and telling. Pay attention to the choices of your targeted audience and read their online content. You can join the discussion for getting a comprehensive look at what matters them the most. It can lead you to useful and engaging content. The focus is required in every field and so in the social media marketing. Concentrating on a single aspect of the social media marketing and preparing dedicated strategies is vital for achieving success. Thus, the law suggests that be focused on a single active policy rather than implying on broad approaches. Stick to the quality ratio invested in your service. The better quality you offer to the customer, the more brand marketing you can receive. Social media marketing does not show quick results. Notably, the new marketers need to hold significant time to make enough value out of the marketing efforts. Consistent efforts are necessary for long lasting popularity. This law indicates that your present followers can make new paths to your work and content. Your fans can share your appreciable content and furthermore, their audience will share it on Twitter, Facebook, blogs, and others. With such response rate, your product can reach to the higher position in the search engines like Google. Apart from struggling into the same group of people, connecting with new audience caters new opportunities to the business. You can find some online influencers, which have quality followers. If seems interesting, try to build relationships with them; their audience can get your information, and you can experience your business expansion. Your product must justify value for the people. If you spend most of the time promoting your content on the social media, you have the probability of losing the interest of customers. Thus, the solution is to adapt amazing content creation along with building relationships with influential brands. With such support, you are placing you in the futuristic plans like word of mouth. Relationship building is a crucial part of any marketing. Whenever someone reaches out to your platform, you must acknowledge it. This is the core gesture for connecting with your faithful followers. Your content is valuable until you provide consistent support to your readers and visitors. Ensure that you deliver interesting stuff and answer their queries by participating in discussions. Making conversations with your online followers can also resist some fickle bodies to replace you. The reciprocity law suggests that before expecting from others to share your content, you have to do this too. In the time of social media marketing, spend a piece of time to look into others work and share it. Talking about others’ published content can increase your chances of material exposure in digital media. 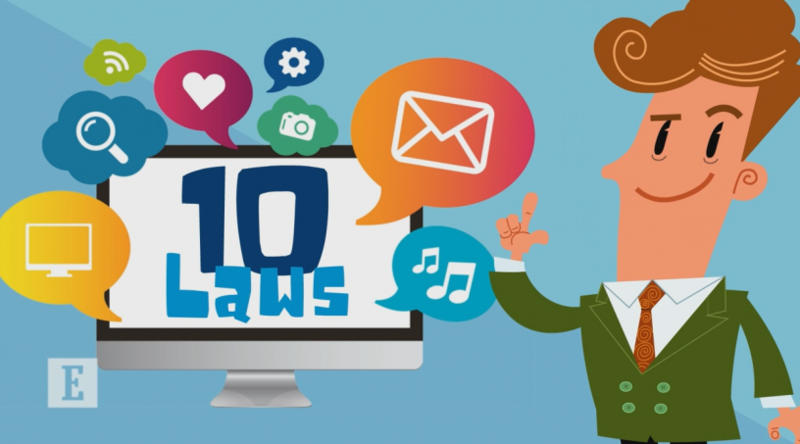 These laws are necessary for leveraging the capabilities of social media marketing. Substituting the rules can lead you quality results that serve your business in effective ways.